Aipasi Skanda Sashti in October-November; Thai Poosam Kavadi in January-February and Panguni Uthiram in March-April with Wedding Festivals and procession in Pearl Palanquin are the festivals grandly celebrated in the temple. 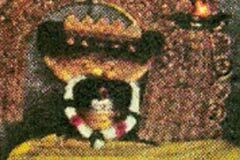 That the presiding deity is facing west is the significance of the temple. 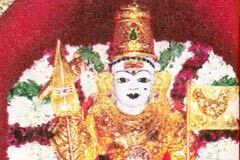 The temple is open from 6.00 a.m. to 10.00 a.m. and from 5.30 p.m. to 8.30 p.m.
Sri Shanmuga Nathar Temple, Gobichetti Palayam, Pachaimalai, Erode district. 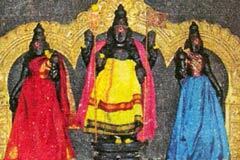 The temple has shrines for Lord Maragatheeswarar and Mother Maragathavalli, Lord Kalyana Subramania with His consorts Valli and Deivanai, Lord Maragatha Venkatesa Perumal with Mothers Sridevi and Bhoodevi, Lord Vidya Ganapathy, Lord Dakshinamurthi, Lord Bhairava and the Navagrahas with their consorts. It is the staunch belief of the devotees that worship of Lord Muruga in the temple would ensure higher education, child boon, relief from debt burdens, prosperity and health. Devotees perform Rudrabishek and with rosewater to Lord Muruga with grass garlands – Arugampul in Tamil – and offer vastras in green. They also perform special pujas and archanas to Lord. 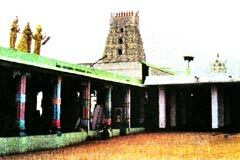 Lord Shanmuga Nathar graces in this Pachaimalai temple facing west as in Palani. Lord Vidya Ganapathy is all merciful to devotees, students in particular offering Arugampul garlands granting higher education boon. Lord Muruga besides being the presiding deity as Shanmuga Nathar, also graces from another shrine as Kalyana Subramaniar with His consorts Valli and Deivanai Whom devotees pray with green vastras for early marriage. During the Skanda Sashti, Thai Poosam festival the devotee crowd would be huge from all surrounding places coming with Kavadis amd milk pots-Paal Kudam. This is a ten day festival. People perform Rudrabisheka to Lord Muruga during these days seeking child boon and relief from debt burdens. They are blessed with immovable properties. Wedding festival is grandly celebrated during these days with procession in pearl palanquin. People worship Lord Shanmuganathar during these days with rose water abishek and offer green vastras for all happiness and prosperity in family. 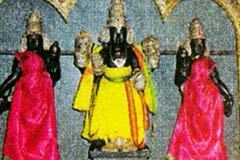 Sage Durvasa installed Lord Subramania as Balakumara here as advised by Lord Shiva in this Pachaimalai as advised by Lord Shiva, according to Sthala Purana – local history. 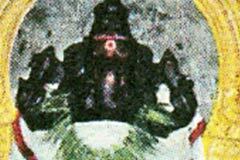 Miracle Based: Presiding deity Lord Shanmuga Nathar is facing west from the sanctum sanctorum. 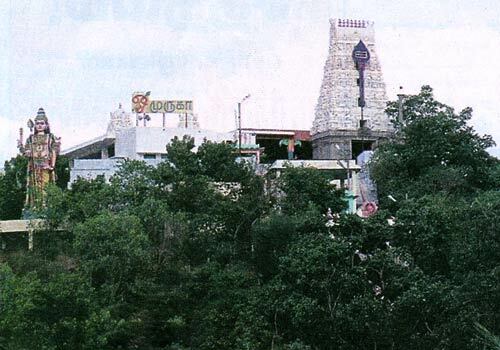 Pachaimalai temple is about 1 km far from Gobichettipalayam bus stand.